The Skywriter is a nifty little add on that enables you to control your Raspberry Pi A+ or B+ with a flick of the wrist! The Pimoroni Skywriter HAT senses the position of your fingers in the air above and responds to a range of hand movements and gestures. Using the provided Python API you can read off the positional data (x, y, z) and common gestures like flick left, tap, and double tap. 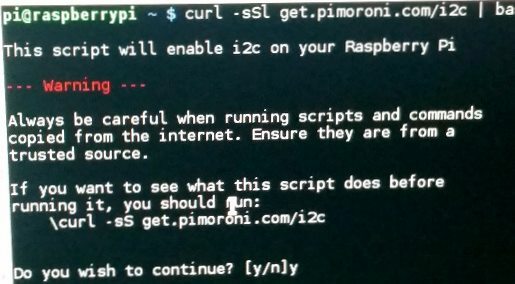 With your Skywriter connected to the GPIO pins of your Raspberry Pi try this simple Python program below. It allows you to double tap the Skywriter and prints out the position of the double tap back to the console screen. For example, center, west, east, north and so on. Copy and paste the code into IDLE, press F5 to save the code and run it. Pimoroni have created an excellent library of examples to get you started with the Skywriter, these can be found here. The controls below are taken from their test.py program which demonstrates all the movements and interactions with the user and the Skywriter. 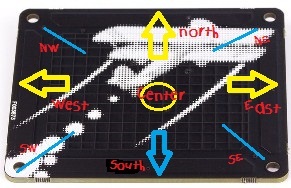 The Flick: Flick your finger across the Skywriter and the code returns the location of the flick, south to north, west to east or vice-versa. The Tap: Like the double tap but a activated with a single tap. The Touch: This code returns the position where you touched the Skywriter.